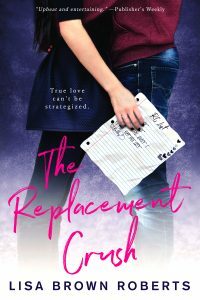 After book blogger Vivian Galdi’s longtime crush pretends their secret summer kissing sessions never happened, Vivian creates a list of safe crushes, determined to protect her heart. But nerd-hot Dallas, the sweet new guy in town, sends the mission and Vivian’s zing meter into chaos. While designing software for the bookstore where Vivian works, Dallas wages a counter-mission. Operation Replacement Crush is in full effect. And Dallas is determined to take her heart off the shelf.